Silent stop failsafe brakes, series SBF, are offered byIsland Components as part of our precision brake product line. These failsafe brakes are designed for animpeccable, silent stop if the current fails. Several mounting and voltage options are available for failsafe brakes. Compact high torque operation is part of thisbrake system’s construction. Diametersrange from 1.38” to 3.12”. Otherfeatures include reduced noise, fast-response time and asbestos-freedesign. Typical applications includemachine tools, printers, copiers, film drives, as well as irrigation andfertilizer dispersion apparatuses. Fromoffice to agricultural uses, failsafe brakes are long-lasting, versatile, durableand highly functional. To select fromour failsafe brakes, electromagnetic brakes, clutches or clutch brakecombinations, contact Island Components. We are always eager to answer your questionsand meet your highest expectations. Decades ofexperience in electric and magnetic components have allowed us to provide precisionelectromagnetic clutches, electromagnetic brakes and clutch brake combinations. These components were originally designed for general military applications andare available in both standard and wafer sizes. In addition to our electromagnetic brakes and clutches, Island Componentsprovides motor brakes and electromechanical actuators. 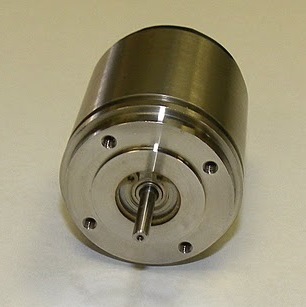 To learn more about our electromagneticdevices,complete a quote request. See Precision Brakes and Clutches.